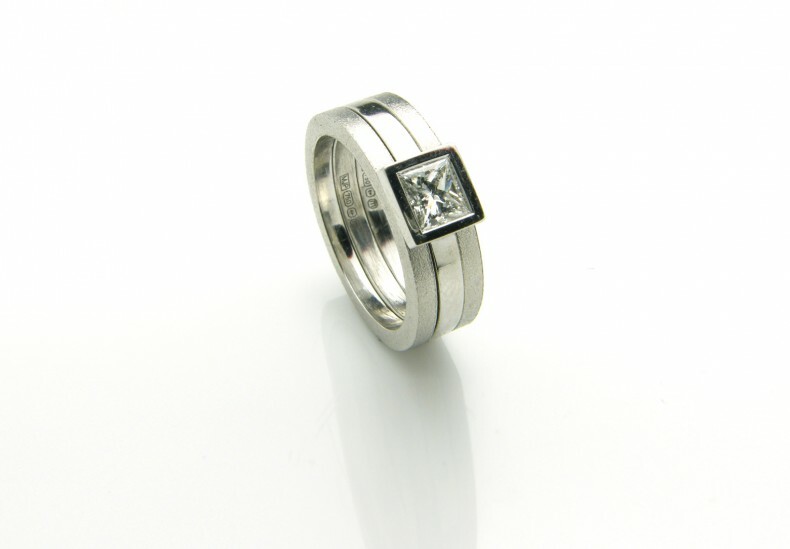 A 18ct white gold engagement ring 'spectacle' set with a 'E' colour, VS1 clarity, 0.50ct princess-cut diamond that enables the ring to slide into the double wedding ring. 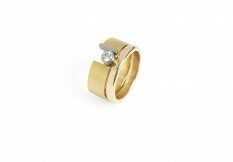 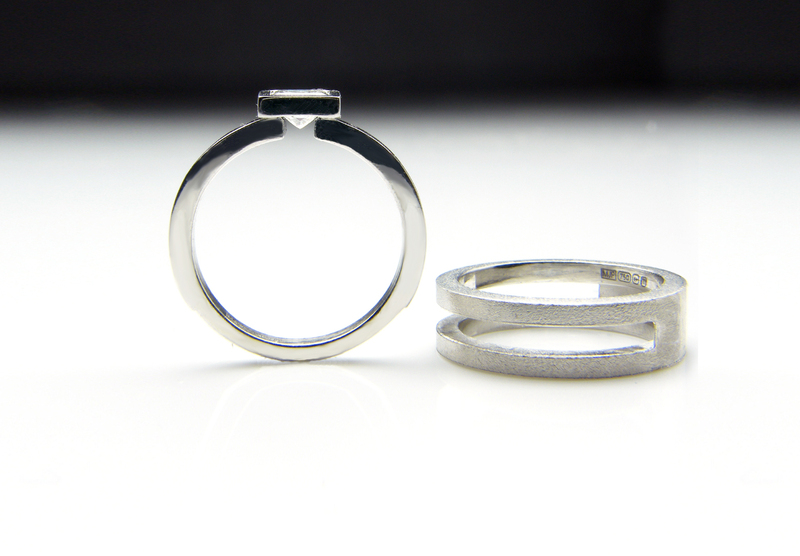 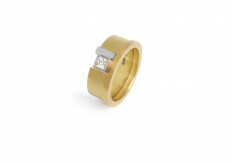 I have used my signature, durable matt finish on the wedding ring with a contrasting polished engagement ring. 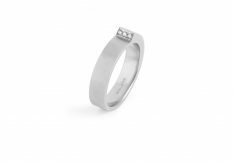 This linear design proved ideal for the client who required unusual rings that were hard-wearing, to be compatible with her occupation.